Brand NEW Catamaran Lagoon 78 DOUBLE DOWN will be chartering in the Caribbean this winter! Brand new motor catamaran Lagoon 78 has a superb deck space! This is a stylish and fun catamaran, highly recommended for families with children or groups of friends. DOUBLE DOWN will be in the Caribbean this winter and in Croatia during the summer 2019. S/Y AIAXAIA, Adriatic for the summer 2018 and the Caribbean for the winter 2018/2019! We’re so excited about Aiaxaia! 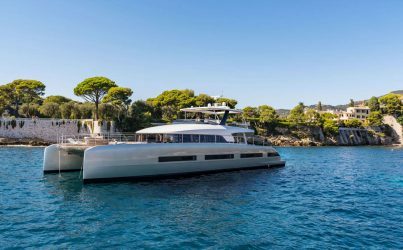 She has recently been launched in Croatia and we can say with confidence that she’s going to be the most luxurious sailing yacht flying the Croatian flag. She has an impeccable pedigree: Aiaxaia was built by the Ercegović family, who have been mariners since the 19th century and who are well-known in the sailing world because of their luxury yacht, Navilux, the top yacht on the Adriatic. 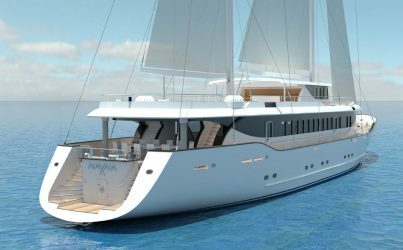 At 46 meters long, Aiaxaia is a larger version of Navilux and will offer the same degree of sumptuousness. The yacht will spend the the summer in the Adriatic and the winter in the Caribbean! We are proudly announcing our new Central Agency yacht, San LiMi. The yacht is currently undergoing a full refit in Croatia and is available for charter from July onwards. This elegant and luxury vessel, offers all the comfort and equipment of a motor yacht and a great sailing experience of a sailer. Her crew is a local team with a great knowledge of the area. 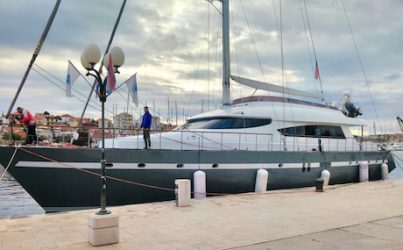 The team is led by Captain Leo Lemesic who has previously sailed with our clients on the Adriatic with a great charter record. He is also well known Croatian sailor who has recently completed a five year circumnavigation around the World. He is an enthusiastic sailor and anyone who enjoys sailing will have a great experience on SUN LiMi.